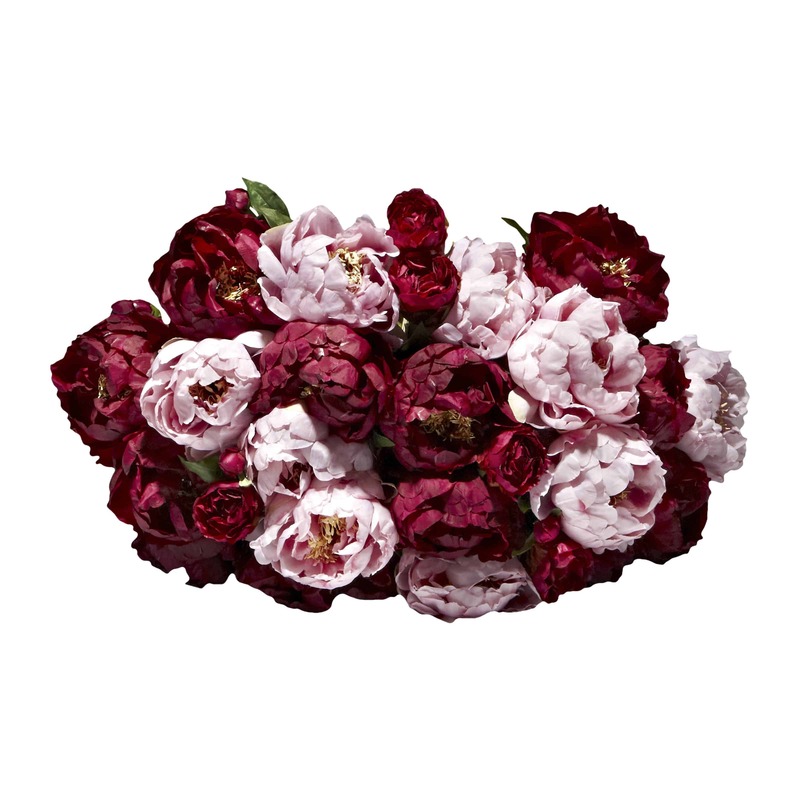 A large hand tied bundle bouquet full of emotion, magnificent long stem pink & burgundy peonies and buds. 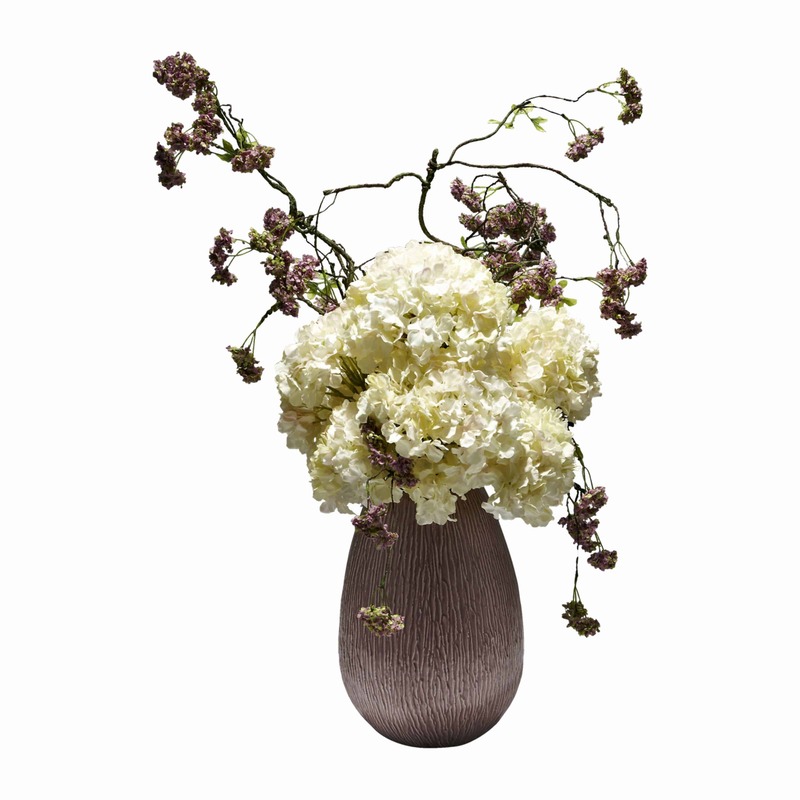 Incredible detailing on every fine silk petal and pollen of each luxurious pink lavender and rich burgundy large head peony. 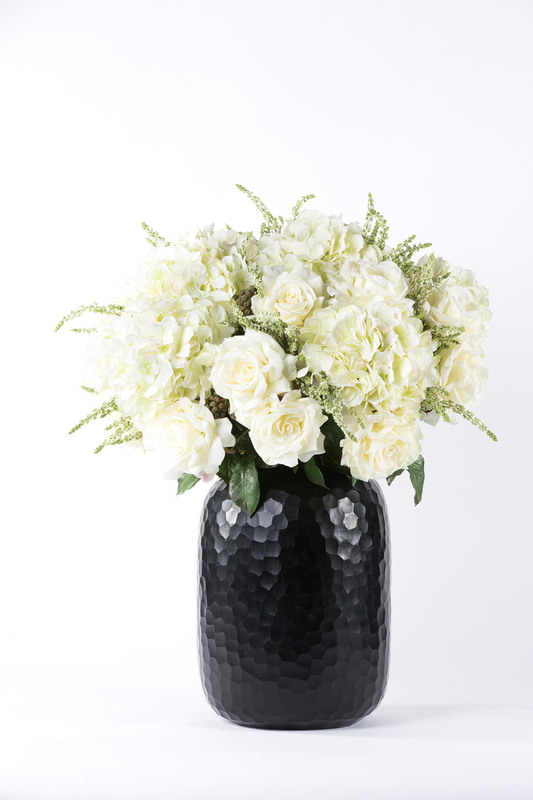 The lush texture, look and feel of this bouquet will say it all and last a lifetime. 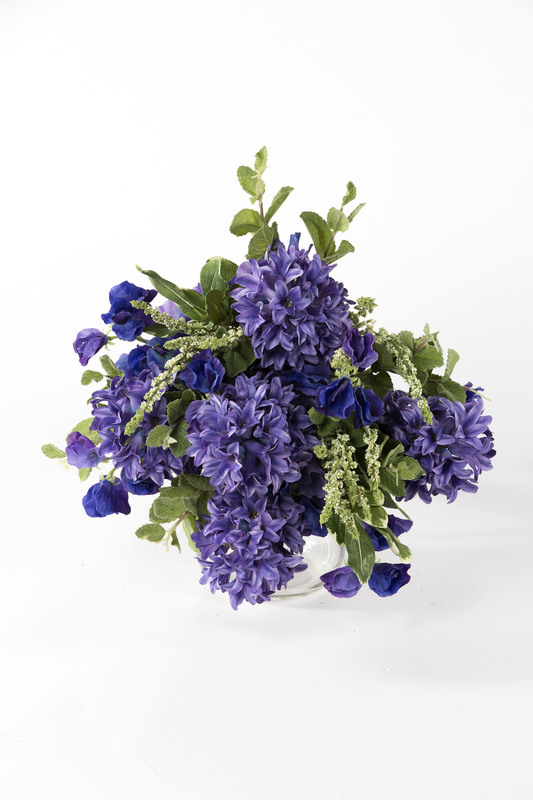 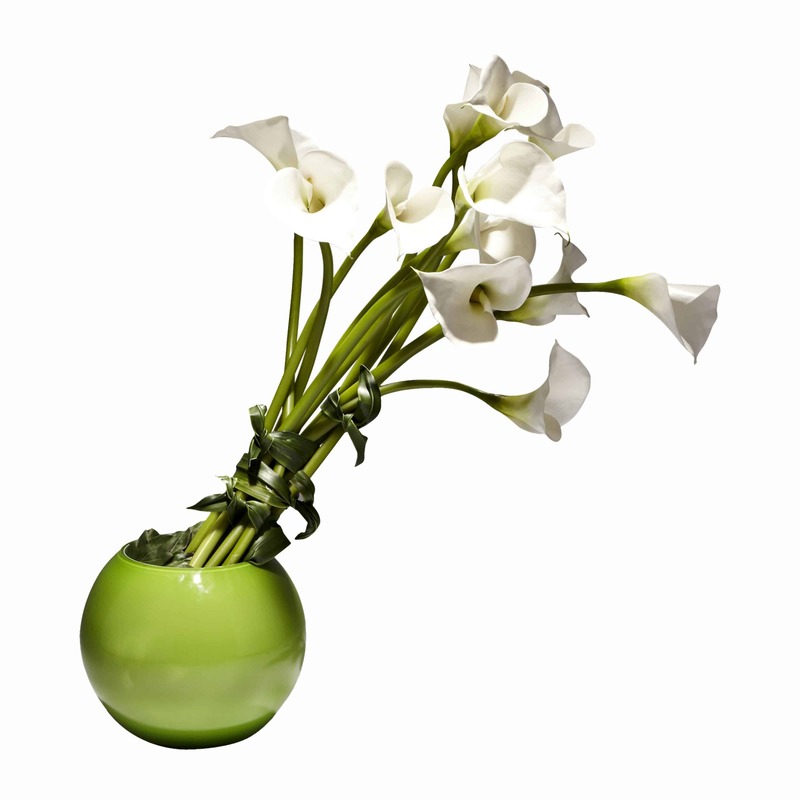 The long stems of this faux flower bouquet make it ideal for a tall floor standing vase.